Check out our First Aid Category! Do you have a First Aid Box?, When was the last time you looked in it, only to find what you need, is missing?. Or Perhaps you need more wound dressings?. Well now you have no excuse to not have it. 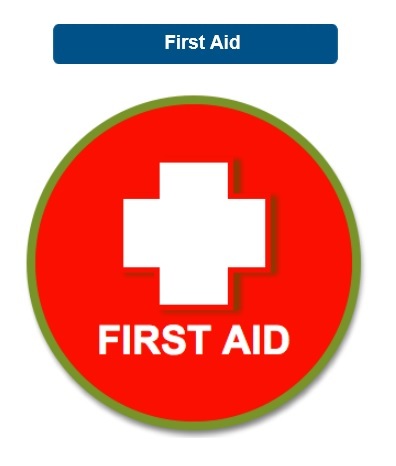 We have everything you need for your First Aid. Trust the experts: Through research and innovation we bring you innovative products to deal with the small inconveniences in life. The SurgiPack® brand is one of Australia and New Zealand’s most trusted pharmacy healthcare brands, recognised and trusted by consumers for quality, integrity and value. The Microdacyn Triple Mode of Action allows for superior wound healing, including in severe wounds such as diabetic foot ulcers (DFU), Venous Ulcers and Burns. Microdacyn is registered as a Medical Device with Medsafe. Betadine is one of the most powerful antiseptics. From sore throats or cold sores to minor cuts and grazes, the Betadine range offers you and your family broad spectrum protection and support against infection. A real advantage of the Betadine range is its key ingredient povidone‐iodine, which has the power of traditional iodine but does not sting or irritate nearly as much. The Betadine range uses the powerful action of iodine against a range of bacteria. Exclusions include, but not limited to: Prescription Medicines, Pharmacist Only Medicines, Pharmacy Only Medicines, Clearance Products, Contact Lenses, Gift Vouchers, Optifast Range, Imedeen Classic 180's, are not eligible with any promotional discount code . Discount offer applies to online orders only, not in store. Check our website for exclusions, conditions. Medicines have benefits and risks, if your symptoms persist, please talk to your healthcare professional. Vitamins are a supplement and not a replacement to a balanced diet. See our website for all the terms and conditions. Discounts are based on RRP pricing. Pharmacy Direct reserves the right to amend any pricing error in this email.Pharmacy Direct reserves the right to extend the sale without prior notice. Images used may display items as part of a group that may not be available to Pharmacy Direct.Terms and conditions for any email promotions we do - Special offer applies to online only, not in store. Only one promotional code per order. *Free shipping, where applicable is available to New Zealand delivery region only, not available overseas.